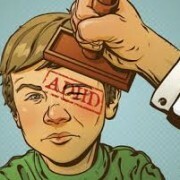 How do Our Children get Misdiagnosed with So-Called ADHD? – Certainly symptoms present themselves. But they need to be correctly Understood. – Robert Berezin, M.D. How do Our Children get Misdiagnosed with So-Called ADHD? – Certainly symptoms present themselves. But they need to be correctly Understood. Larry is an intelligent fourteen year old who is not performing academically up to his potential. It seems when he is reading in class, he commonly drifts off and finds himself staring out the window and daydreaming. Frequently when doing his homework, he doesn’t seem to comprehend what he is reading and gives superficial answers to the study questions. 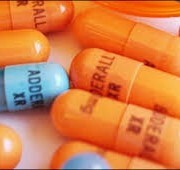 Larry is diagnosed as having an attentional problem, and is given Adderall for his ADHD. The real story is that Larry is an auditory reader. That means he has to hear the words he reads out loud in his mind. When he was taught to read silently Larry got lost. After one sentence, he was passing his eyes over the words, but he was not taking in the meaning. Comprehension plummeted to zero. Larry then just scanned the paragraph and tried to remember the last sentence. In contrast, if he were a visual reader, he would have no problem reading silently. Reading had been taught one way, the way that suited visual readers. These are the children who could eventually learn to practice speed reading because they can scan visually and take in meaning. Auditory readers cannot do this. Reading styles are genetically programed. If Larry had been taught an alternative method of first reading aloud, and then reading to hear the words in his mind, he would have developed full reading comprehension. (Historically, reading aloud was the original way reading and memorization were taught.) 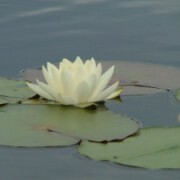 When Larry didn’t comprehend meaning, he gave up and drifted off into daydreaming. He began faking it. There was nothing wrong with his attentional capacity. If he had been taught auditory reading his attention would not have wandered. Unfortunately teaching has become one size fits all. It should be the challenge of teaching to figure out different learning styles and teach to the different styles of our students. A better teaching approach is that if a student doesn’t get it, then it is the limitation of the teacher. And he needs to present the information in a different way, so the students can access it and harness their curiosity. Etymologically, education means to “lead out”, not put information in. This is our job as teachers. The importance of this story is that Larry was diagnosed as having a brain disease, and he was put on ‘speed’. There was nothing wrong with Larry’s brain. But he will carry this imposed belief for the rest of his life. This is but one story of a child being put on amphetamines. Larry’s story is a paradigm for a huge range of issues that have resulted in the invention of the phantom disease ADHD. And Big Pharma has made billions of dollars by providing ‘speed’ to our children. And this is been heralded as a really good thing. 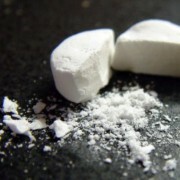 It is, in fact, very, very disturbing – addicting our children to this dangerous and destructive drug. 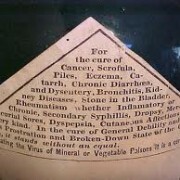 The range of issues that lend themselves to this non-existent diagnosis are far more complicated than this one example. 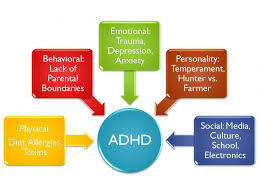 Nonetheless, there is a story to every single so-called ADHD child, which needs to be appreciated and addressed. America is overrun by an enormous drug epidemic. We as psychiatrists and mental health workers need to lead the fight against it. We should not be the equivalent of dealers. esspecial if you want to help your child progress. As a recovering drug addict, I sympathize with the doctor’s concerns about the inherent cautious approach one must have when prescribing medication. If doctors were medicating people with spinach derivatives to treat ADHD symptoms, all would be well. They substitute their preoccupation with the profits of an industry for their contempt for capitalism.